Percent Symbol . . .
Background - why percent symbols are used . . . 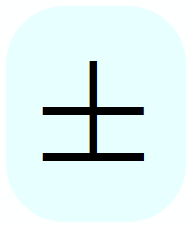 Math Symbols are a communication tool. Symbols are an invention which is used to eliminate the need to write long, plain language instructions to describe calculations and other processes. The most important, most frequently used Miscellaneous symbols are listed below. (1) What does the % sign mean?
. . . A % is used to compare a number (any number) to 100 using division. Under normal circumstances, all numbers are compared to the number 1 using division. 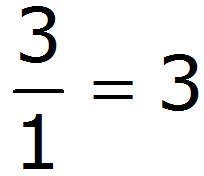 For example, the number 3 is only a 3 when it is compared to the number 1 using division. It is three times as big as the number 1. 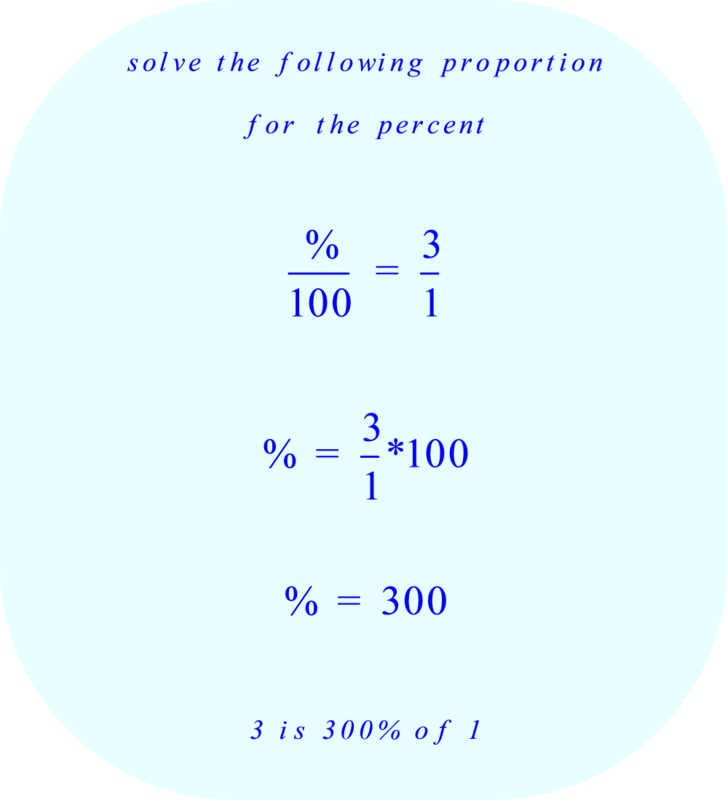 However, a % does not use the number 1 for comparison purposes. You can complete a short calculation similar to the example shown above, or . . .
. . . Just move the decimal point to the right by two places. (2) Where is a % symbol used?
. 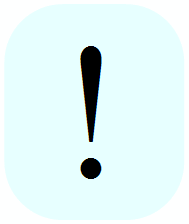 . . A % symbol is only used to represent a proportion. A percent tells you that you are dealing with a ratio , or relative comparison (using division). Although any number can be converted into a %, percents are only used to represent ratios (proportions).
. . . What is the point of converting a ratio to a % ? Is there any advantage to saying 5.6% instead of .056? 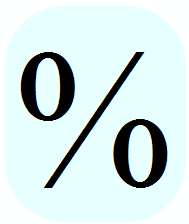 (3) How is a % symbol used in everyday life?
. . . There are thousands and thousands of applications where the concept of a percent is used every day. The fact that a percent represents a proportion (a relative comparison) is what makes valuable.
. . . Sales Tax . . . When you pay a sales tax, the tax rate will be stated as a % . If the sales tax rate is 8%, this means that you will pay the government a tax of 8 dollars for every 100 dollars you spend. If you spend $100, you owe a tax of $8. If you spend $200, you owe tax of $16. If you spend $50, you owe a tax of $4. If you spend $25, you owe a tax of $2, and so on. The sales tax you owe is always the same proportion of what you spend (in these examples it is 8% of what you spend).
. . . Bank Interest . . . If you deposit money in a bank, the interest the bank will pay on your account will be stated as a % . If the interest rate is 5% (simple annual interest), this means that the bank will pay you 5 dollars for every $100 you leave in your account for one year. If you leave a $100 deposit in the bank for two years, you will receive $10 ($5 per year). If you leave a $100 deposit in the bank for only six months, you will receive $2.50, and so on. The amount your deposit earns is always the same proportion.
. . . Credit Card Interest . . . If you use a credit card, the interest you pay on the outstanding balance you owe will be stated as a % . If the interest rate is 20% (simple annual interest), this means that you pay the credit card company an extra 20 dollars per year for every $100 of unpaid debt.
. . . Test Grades in School . . .
Test grades in school are often stated as a % . If a student has a test average of 81%, this means that for every 100 questions the student answers on his or her tests, 81 questions are answered correctly.
. . . Slope of a railroad track . 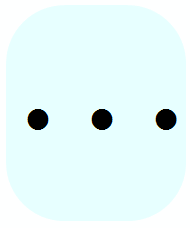 . .
Slope (the incline of the tracks) is often stated as a % . If a slope of a railroad track is a 5% grade, this means that for every 100 feet of horizontal distance the tracks drop (or increase) 5 feet in elevation.
. . . Survey (Poll) . . .
Survey results are often stated as a % . If a survey found that 75% of restaurant patrons preferred a certain type of food, this means that for every 100 people, 75 people prefer that type of food. 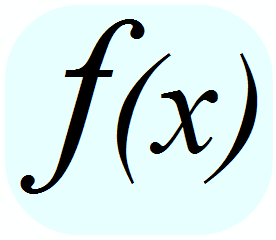 (4) What math symbols can be mistaken for a % sign ?
. . . Per mille . . .
. . . 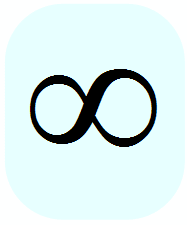 The Per mille symbol is not equivalent to a Percent symbol. 1 % (percent) means 1 part in 100. 1 (per mille) means 1 part in 1000.
. . . Basis point . . .
. . . 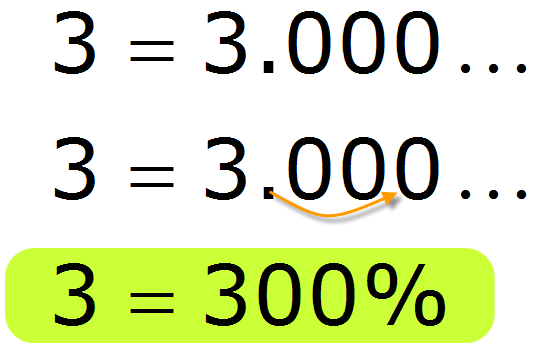 The Basis point symbol is not equivalent to a Percent symbol. 1 (basis point) means 1 part in 10,000.